News surrounding food contamination and food product recalls is becoming more and more common in the United States. Large-scale issues such as salmonella and E.coli breakouts have rocked the food industry, including those concerning Chipotle Mexican Grill—which has seen numerous problems in recent years—and the romaine recall out of Yuma, Arizona. What’s more, both the FDA and the USDA reported major increases in food product recalls between 2012-2015. Food recalls are most importantly a public health problem, but they can also be severe economic issues. The average cost of a food product recall to a food company hovers around $10 million in direct costs, not to mention the costs related to brand damage and lost sales. The costs for larger brands may be even higher. Let’s take a closer look at this growing problem. In the United States and some other areas abroad, such as the United Kingdom, the numbers around food product recalls have increased in the last few years alone. Products are increasingly sourced through global supply chains which can be in touch with contaminated products that can rapidly spread worldwide before the problem is even detected. Also, supply is concentrated in fewer global suppliers who source through supply chains that are complex and wide ranging. This can increase food safety risks which can then snowball among retailers and consumers. This has brought to light a number of concerns that food service insurance can cover. Food service insurance coverage provides companies resources they need to protect their reputation and their financial assets. 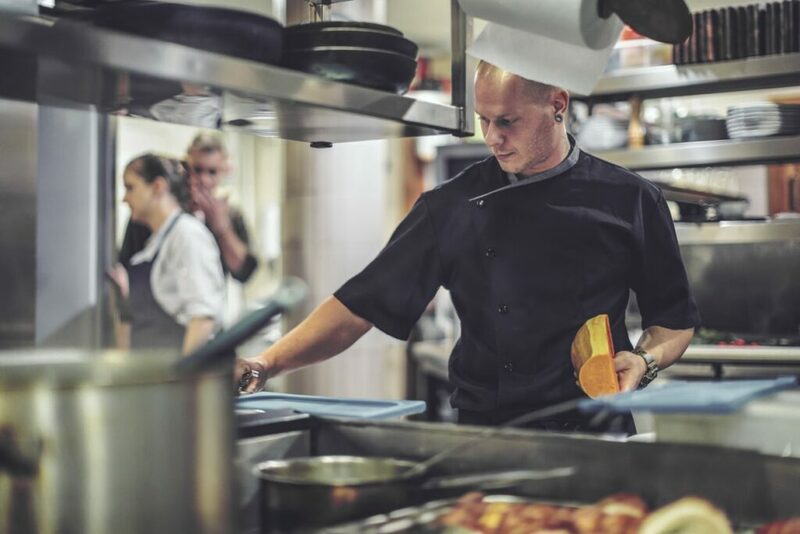 Food contamination allegations and legal troubles can not only drain a company’s time but also its finances, so having food service insurance protection can help with peace of mind. As mentioned, a single company can lose up to $10 million in revenue based on a food contamination issue and food product recall. But more significant costs to a company can stem from litigation costs and the investigation of the root cause of the problem. Plus, beyond lost sales, there’s the impact to the company’s market value and brand reputation. If consumers hear about a restaurant chain’s contamination breakout, like Chipotle, it can have long-term effects that stifle its growth and its core base of regular customers. Then there’s manufacturing-related costs. If a company finds contamination in any of its products, it has to not only stop producing that food product and get to the root of the problem, it may have to look at other food products packaged with it. In Yuma in 2018 a far-reaching E.coli breakout could be directly linked to romaine lettuce grown in the area. But for companies like Chipotle that serve a number of food products they had to look at every part of their menu to narrow down the cause. This process can not only eat away at a company’s manufacturing time, but it can also eat away at productivity and income. Coast General Insurance Brokers is an insurance brokerage entirely dedicated to business owners. Our agency’s purpose is to partner with our business clients to maintain a pulse on their risks as the business evolves. We match Property and Casualty products and help mitigate claims. Our agency has a dedicated team for Commercial Insurance as well as a team dedicated to Health and Wellness benefits for any size company. To learn more about our products and services, give us a call today at (805) 644-4740.